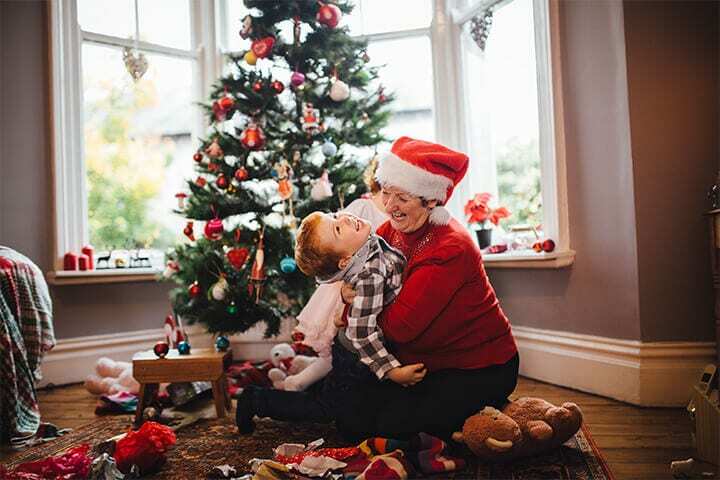 With the holiday season approaching, you may be looking forward to welcoming grandchildren, nieces and nephews for a visit. Or perhaps you’re planning to spend the occasion at their home. If you currently take any prescription medications or over-the-counter products, it’s important to include medication management in your holiday plans. Not only do you have to keep up with your treatment regimen, but you also have to think about protecting curious little ones from getting their hands on your medications. The reality is that young children are especially vulnerable to accidental medication poisoning. In 2013, almost 60,000 children visited the emergency room because of an accidental overdose on legal medications. And 95% of child ER visits for medication poisoning are the result of a child under 5 getting into medication that belongs to a grandparent, parent or other individual. Why Are Kids at Risk of Medication Poisoning? There are several factors that contribute to accidental medication poisoning among children. Understanding these can go a long way in helping you to protect your children, grandchildren or nieces and nephews while taking care of your own health. Growing use of medications. About 4 billion prescriptions were filled in 2014, up from 1.4 billion in 1980. During the same time span, sales of over-the-counter medications skyrocketed from $5.5 billion to $30.8 billion. In the United States, 125 prescriptions are filled every second, and $84 million is spent on OTC medications each day. More interaction with grandparents. When kids ingest medicine they’re not supposed to take, 48% of the time it belongs to a grandparent, compared with 38% for parents and 7% for siblings. Today, 67% of grandparents live with or within 50 miles of a grandchild, and 4.4 million grandparents live in the same household as a grandchild. A loving grandparent has an important role to play in the life of a child, but with that relationship comes some necessary precautions. Lots of places to find medications. When kids take medications inappropriately, where are they finding them? The two leading locations are a pillbox or picking up a pill that’s been dropped on the ground, which account for 23% of cases each. Kids ingest medications from a purse or diaper bag 19% of the time, from a counter 18% of the time and a reachable cabinet or refrigerator shelf 8% of the time. Lots of products that could cause poisoning. Prescription medications, over-the-counter remedies and many personal care products can all be harmful when ingested or taken improperly. Some of the products responsible for accidental child poisonings have included pain/fever remedies, vitamins, allergy medications, diaper rash products, eye drops, laxatives and vapor rubs and other products containing camphor. How Can You Protect Kids from Medication Poisoning? If you are traveling this holiday season, be sure to take enough doses of medication to last the duration of your trip and in case of delays in getting home. Take along a copy of your prescriptions and your doctor’s contact information in case of emergency. Use the “up and away” method of medication storage — choose a high shelf or cabinet out of the reach of children 5 and under. If you are carrying medication in a purse or bag for travel, store it out of a child’s reach upon arriving at your destination. If young children are coming to visit you, do some preparation before they arrive. Check lower shelves and cabinets for medications or other products that might cause harm if ingested. Move them to a higher shelf or place locks to keep curious youngsters out. Don’t leave medications out in the open. Store them in your “up and away” location after each use. Don’t leave a child unattended in the same room as your medications. If you have to leave the room, take your medication with you. If possible, avoid taking your medicine in front of young children as they may want to mimic you. Don’t call your medicine “candy” because that makes it enticing to young kids. In the event of an accidental poisoning, save the Poison Help Line on your phone: 1-800-222-1222. Do you have questions about safe storage of medication and other ways of preventing mishaps involving your medications? Would you like help with your medication regimen during the holidays? Contact us at Integrity Pharmacy. We’re here to answer your questions and to wish you and your family a safe and happy holiday season.